Julie Manning was in the middle of giving birth to her second child when doctors noticed an irregularity in her heartbeat. Within six weeks, tests revealed it was no one-time occurrence. This ultra-capable mom, wife, marathon runner, and pediatric nurse practitioner was in active heart failure, finding herself at risk for experiencing sudden cardiac death. 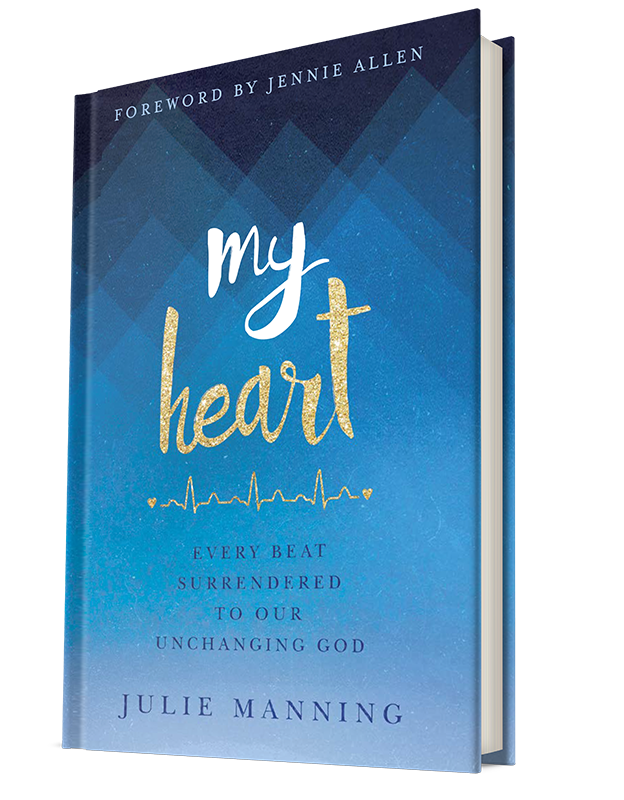 Julie’s book, My Heart, is the first-person account of her journey from then to now – from a healthy woman’s normal expectations and self-reliance to the surrendering of her dreams, plans, and deepest desires into the hands of our unchanging God. Part retelling and reflection, part in-the-moment prayer journal, her story takes you with honest vulnerability into the jaws of fear and suffering, and speaks realistic hope into your own story, leaving you with well-fought, well-placed confidence for the road ahead. It’s what her heart would like to say to you . . . about the faithful, loving, impeccably trustworthy heart of God. 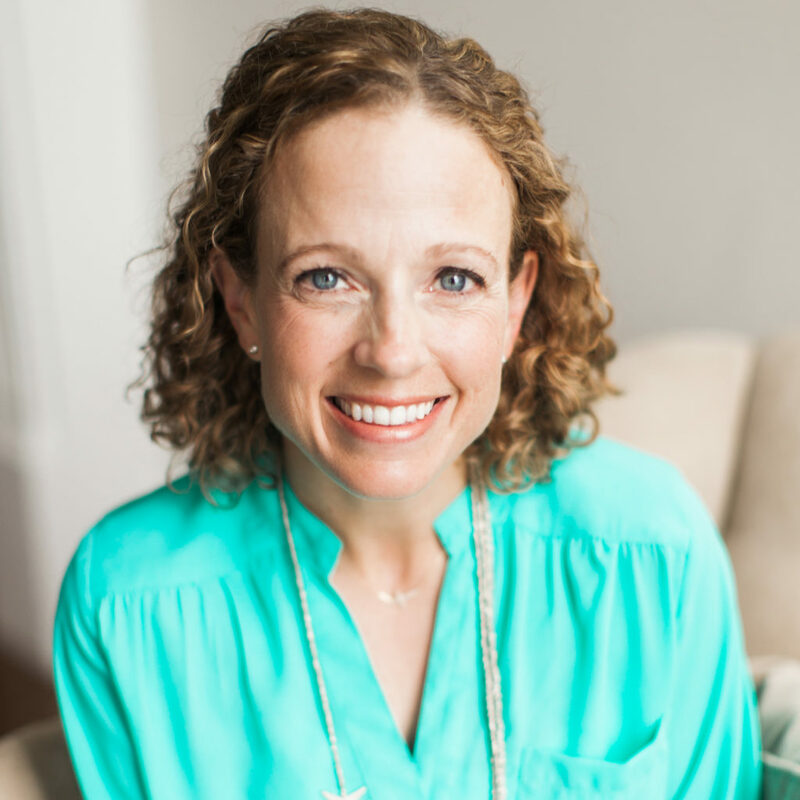 Julie Manning is a wife to her beloved husband, John, mother of three fun-loving boys, and pediatric nurse practitioner. At the age of 25, Julie left her career in corporate America to pursue a bachelor’s degree in nursing. 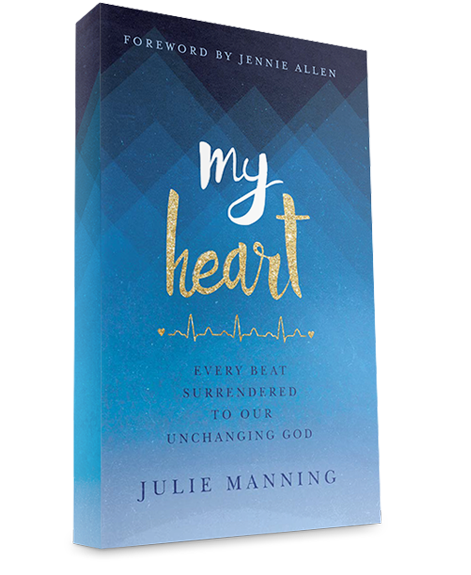 While in nursing school, the Lord birthed a passion within Julie to care for children born with heart disease. Little did she know seven years later, she would learn that her own heart was sick. The Lord’s pursuit of Julie’s heart and soul through the valley of facing many uncertainties has developed a fire within her to live intentionally from moment to moment as if it may be her last.